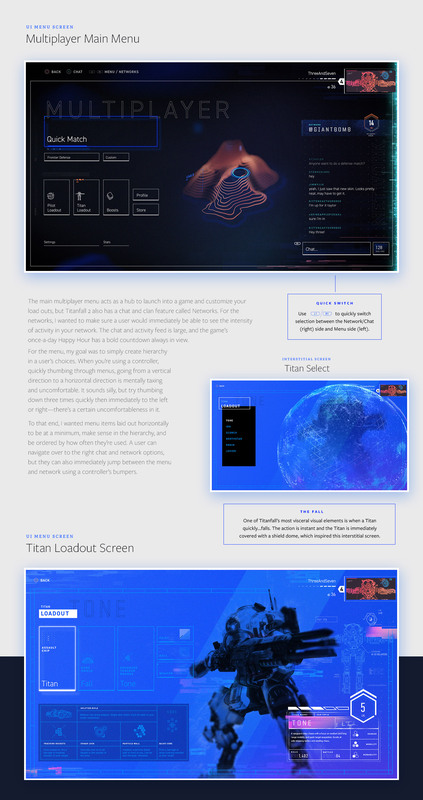 This was a self initiated project focused on game UI and motion graphics. While the game has an amazing fictional world, I never felt the UI fit or enhanced those themes. My goal was to create something more immersive and consistent. Titanall’s world is utilitarian and dirty. It’s futurism is grounded in machinery. 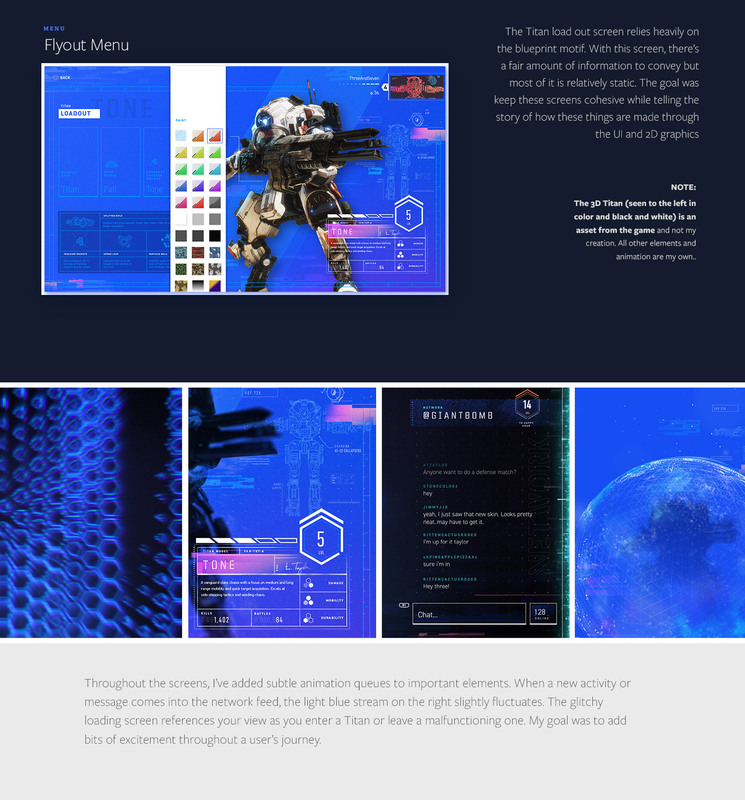 To help depict that in the UI, I structured the aesthetic around diagrams and blueprints. All work my own except for 3D rendered Titan game asset (seen in color and black/white on loadout screen).